with his teeth, which is obviously far from our normal reality, but the character’s specialty. The fact that there is traffic in the straits is an amusing fantastical detail, imagining this world where many boats are trying to get to this game in the freezing Arctic with their boats. The skua eating the kid after Team Whale had killed him is pretty gross, but fantastical as well since birds do not eat human meat. Another fantastical thing is the fact you can “lose at tailgating” because tailgating in our normal world is something that is supposed to be enjoyable, no rules, and not at all competitive, but in this world, tailgating at this specific game has many requirements to survive and is very competitive. 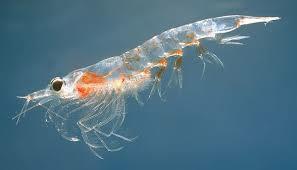 And, lastly, the quote “Krill will surge along either side of your boat in a rosy pregame warm-up. Lots of excitement in the frozen air.” (p.144) expresses the fantastic images of krill being able to do warm-ups for their games and the krill knowing what is going on, along with such excitement in such a cold environment. This story is written in a first-person narrative, in which our narrator tells the readers step by step advice about how to go to these games properly. This first narrative creates a sense of personal closeness to the narrator and it is used in a very charming, humorous way as the narrator discusses his own experiences traveling and going to the games. It is a very convincing voice as he expresses his personality through the way he talks about the different aspects of the game and what leads up to it. The voice adds an amazing dimension to the story that makes it work and compelling to the reader.